President Elect Donald Trump won in a shocker last night. So too did Arizona employees: Proposition 206, known as the Fair Wages and Healthy Families Initiative, passed comfortably at 59% to 41%. 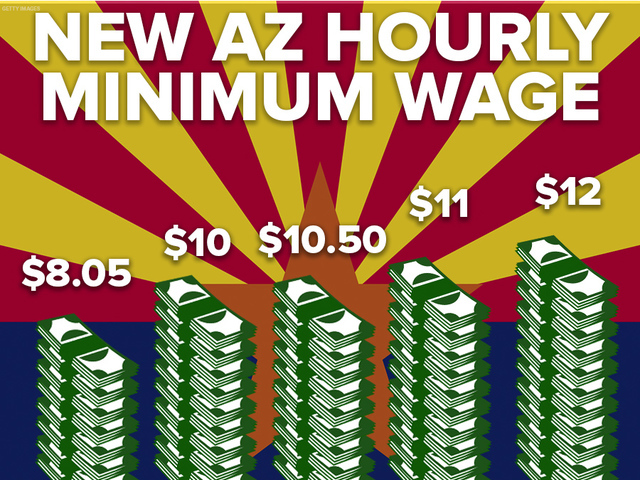 Starting on January 1, 2017, Arizona’s minimum wage will increase to $10, then $10.50 in 2018, $11 in 2019, and $12 in 2020. In 2021, the minimum wage will be adjusted each year based on the cost of living. In dollars and cents, a current full-time minimum wage worker makes $16,744 per year. However, by 2020, such workers will make $24,960 per year. For restaurants and similar businesses, tipping laws in Arizona will remain the same: employers may pay employees $3 less than minimum wage if they are earning as much, or more than, minimum wage with tips. The new law also entitles certain employees to paid sick time. Employers with more than 15 employees must provide each worker with 24 hours of paid sick time per year. If a business has more than 15 employees, 40 hours is required. Sick time is available to employees who have a physical or mental illness, must care for a family member, experience a public-health emergency, or take a leave of absence because of domestic or sexual violence and/or stalking. President Trump will likely have wide-ranging effects on workplace laws and, equally important, how those laws are enforced. From Executive Orders, to selecting Supreme Court Justices that interpret workplace laws, to appointing agency heads who apply those laws (e.g. head of the Department of Labor), a President can greatly impact employers and their workers. In the coming weeks and months, as President-Elect Trump’s cabinet selections and other appointees come into focus, HR Law Insider and attorney Art Bourque will be right there to help businesses understand the real world climate in which they are operating. Today, however, is for many a day for celebration or mourning. To assist on that joyful or seemingly perilous journey, here are two songs about change, the first for the “winners” and the second for those wondering what happened.